This post is brought to you by Purina and the Smiley360 Blogger Network. Up until rather recently, if you wanted grain-free food for your dog, you had to either order it online, go to an actual pet store or find it at a feed store. Now, I happen to be lucky enough to have two major pet store chains AND a great feed store near me, but that isn’t the case for everyone. In fact, those two chains aren’t that old in our area, which meant that for a long time, we had extremely limited options when it came to finding the best dog food. Now, you can head to just about any store that sells Purina One SmartBlend and pick up a bag of their new Grain-Free True Instinct With Real Chicken & Sweet Potato. You get the name you already recognize- Purina- with the ingredients you want to see in your dog’s food. Let’s check out a few great features of the Purina One True Instinct Grain-Free Formula. NO Added Artificial colors or flavors. All that, and it’s designed to be highly digestible, so the nutrition gets to where it’s supposed to go. 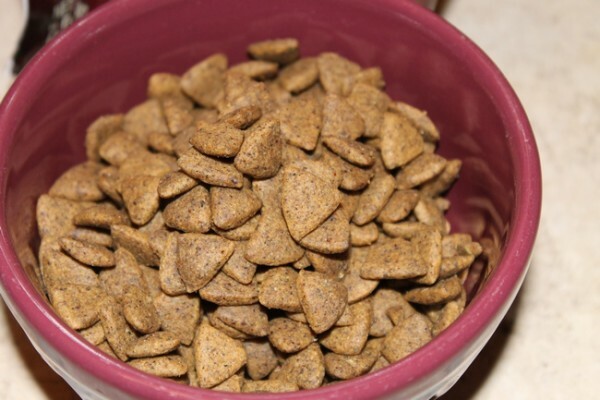 I usually rely on independent dog food analysis sites to double-check all claims made by any dog food before feeding it to my pups, but I think this one is just too new to show up yet. However, Purina did test using AAFCO standards (the industry-leading, third-party standards for making sure dog food is up to par) and they were able to “substantiate that Purina ONE SmartBlend True Instinct With Real Chicken & Sweet Potato provides complete and balanced nutrition for maintenance of adult dogs.” I also compared the ingredients to other foods that my dogs have done well on in the past and read the reviews online before accepting the challenge. With two senior dogs and one with sensitivities, I’m super choosy. I currently have Maia and Cooper on other foods designed for their unique needs but based on the nutritional profile, I decided Tasha would be a great candidate for the Purina 28-Day Challenge. We’re nearing the end of the 28-day Challenge, so I feel confident that I can knowledgeably discuss Purina ONE SmartBlend True Instinct. First, I have to remind you that my dogs were already eating good food. I switch them between different brands, but they’re all pretty well researched. So I may not notice things that you would if you went from a non-grain-free food or some other type of less than stellar food. I have noticed that Tasha likes the taste of the food. She’s picky in her old age! In the last year, she’s only eaten one other type of kibble without something else on it. I usually have to add a “topper” to her foods to get her interested. I’ve also noticed less of an issue in the poop department. Tash is 14 and has a few accidents in the house here and there. It’s a relief when those messes aren’t terribly messy. As far as energy goes, I think she’s been more energetic lately for an old girl! She’s not exactly chasing squirrels again, but no dog food can rewind time. Like I said, when you consistently feed your dog good food, you’re not going to notice as many changes on the 28-Day Challenge. It’s what you don’t see that matters, in that case. 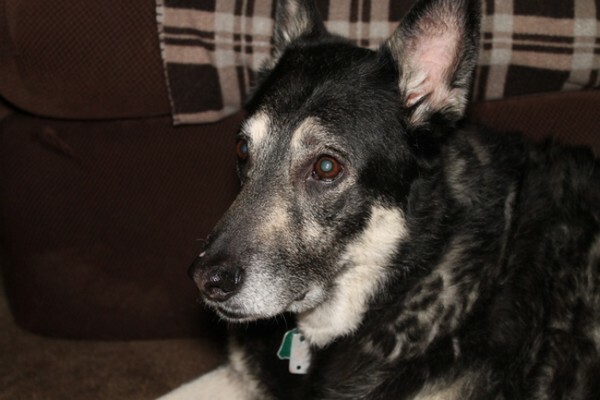 You don’t want to see your dog dealing with sudden allergies, upset stomach, dull coat issues or other issues that say “hey, this isn’t the right food.” I didn’t see any of those issues with Purina ONE SmartBlend True Instinct Grain-Free Formula. I love that there’s now an option for Grain-Free dog food right in my grocery store. While I’ll still continue to rotate between several brands, I feel confident in adding this to the mix. It’s a relief to know that when we’re out of food on a Sunday night or a day when a trip to a pet store just isn’t in the cards, we have a good option right down the street at our local grocery store. Sign up for the 28-Day Challenge yourself and you’ll get a $3 off coupon! Follow Purina on Facebook and Twitter to keep up with news. 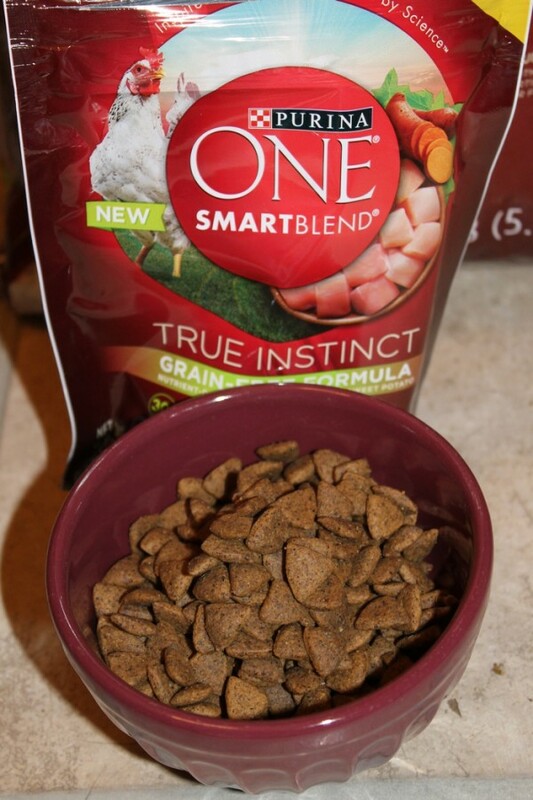 Have you tried Purina ONE SmartBlend True Instinct Grain-Free Formula with your dog yet? What do you like about the food? Very nice review of Purina food .